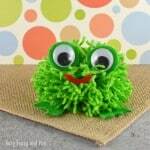 Ready to make another pom pom friend? 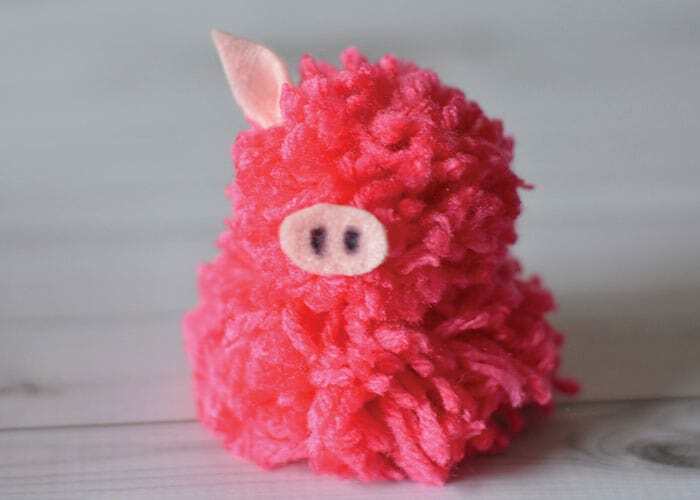 Lets make this oink oink pom pom pig craft. 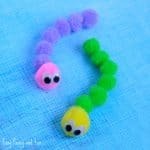 This is such a fun project both for kids and kids at heart, it makes a fun toy to play with or a decoration (keychain even). 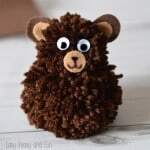 This little fellow is really easy to make and can also make a wonderful gift for friends or family. 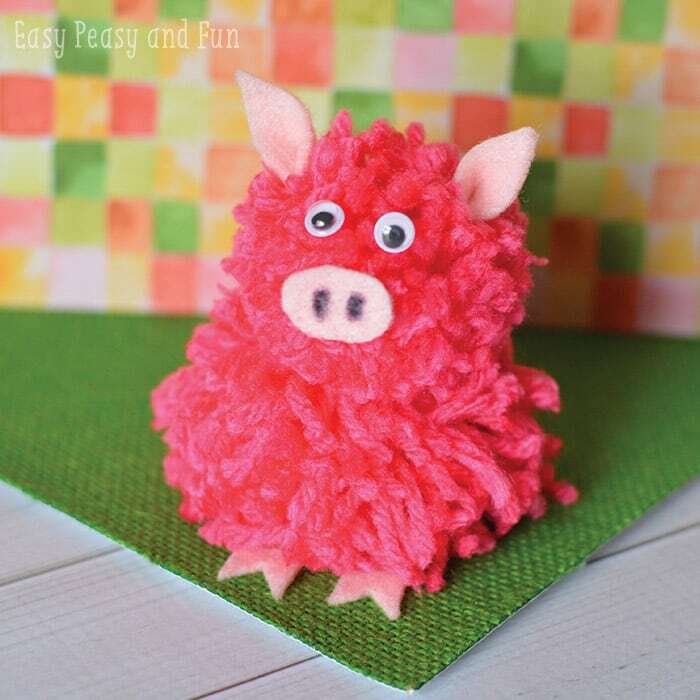 Both bear and pig used 125 wraps of yarn around a book (you can see this technique to make pom poms in this step by step tutorial). Cut 1/3 off the end of the yarn and tie. 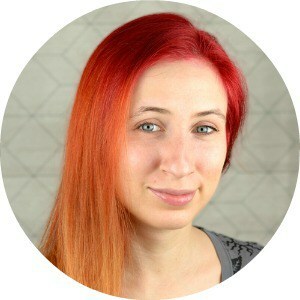 This is the head. Cut the other 2/3 in half and stack on top of each other. Tie and this is the body. Trim to get a nicer shape. Tie body and head together. 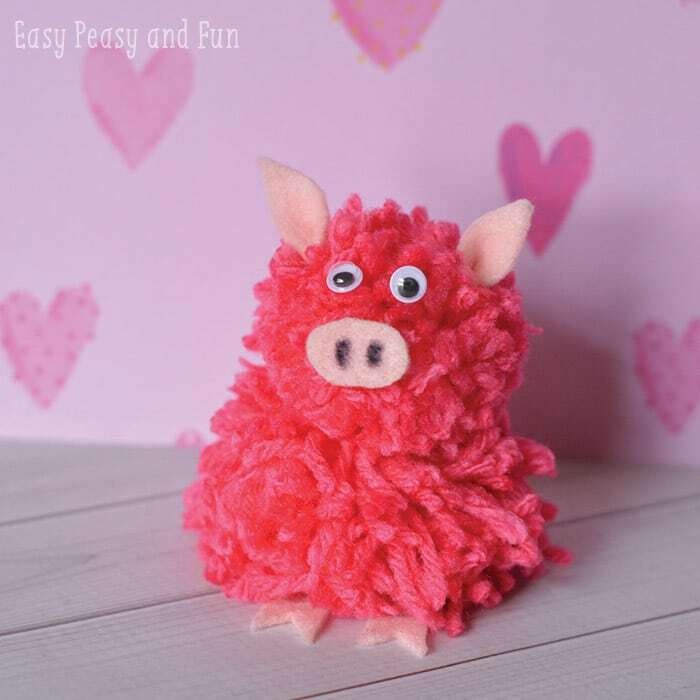 Use pink felt to cut two triangle ears, one snout and two feet out of felt. 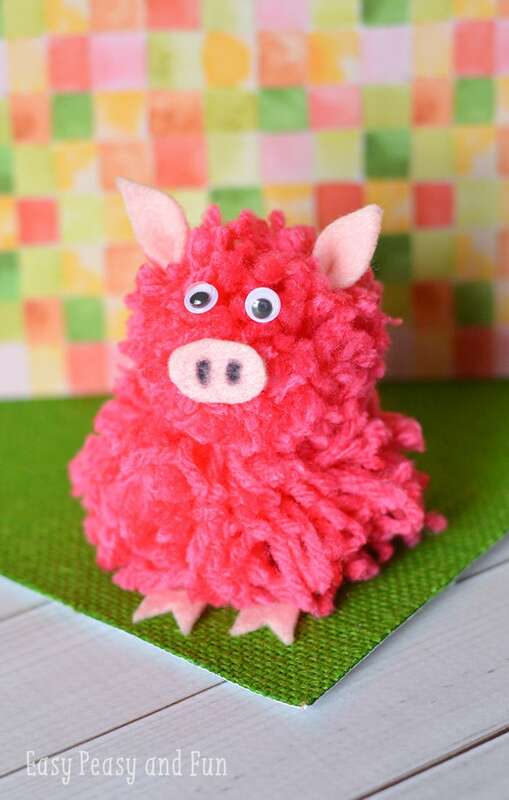 Using a black marker, add the nostrils to the oval snout. Fold your ears in half at the bottom and glue together. 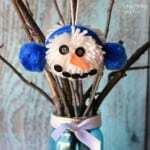 Affix to the head with hot glue. 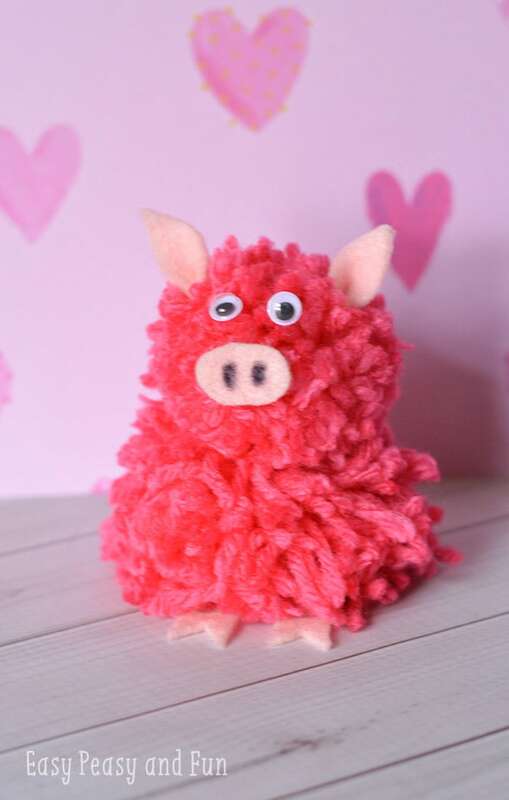 Attach the eyes, snout and feet. 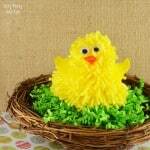 If you liked this one why not also make a cute little chick to go along with it. 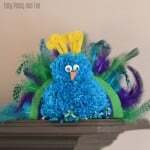 While we are at birds you do check out the amazing peacock pom pom craft too.